Debi has been offering thoughtful, intentional bodywork for 17 years. She offers an exceptional blend of many styles of bodywork which are intuitively crafted into the session based on the needs of each individual. Deep structural and neuromuscular work or the light yet powerful touch of reiki and cranio-sacral. Swedish, sports, raindrop technique, prenatal and aromatherapy are some of the modalities blended to provide a massage experience that will leave you feeling more grounded, relaxed and lighter in your body, mind and soul. When we take the time to slow down and nurture ourselves we can more easily tune into our true nature, and cultivate more love and light to share with the world. Call or text Debi at 858-361-0657 or email debimohan429@gmail.com to schedule. 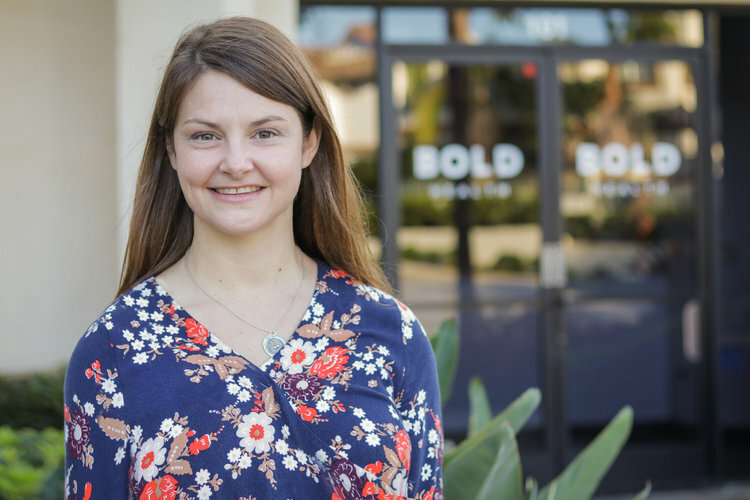 Grace is a fourth-generation acupuncturist with a passion for holistic healing. Her first memory is of tending to her mother's discomforts. She has a natural ability to help people find peace and embody optimal health in body, mind and spirit. Grace is a Pacific College of Oriental Medicine graduate with a Masters of Science in Oriental Medicine and studied Tui Na massage in China. She uses a combination of acupuncture, aromatherapy, energy psychology, EMDR (Eye Movement Desensitization and Reprocessing), herbal medicine, CBD and Asian bodywork to help people heal and thrive. Her specialties include: acute and chronic pain management, healing emotional issues, and women’s health (fertility, pregnancy, postpartum and menstrual-regulation treatments). Call or text Grace at 760-456-7904 to book a session with her. Or visit www.graceandmedicine.com for more information and booking services. Justin is a Doctor of Physical Therapy. He is passionate about helping every patient address their pain, injury and/or physical limitations through a variety of traditional PT methods and mindfulness techniques. His training and applications include a blend of manual therapy skills, individualized physical exercises and patient education. Justin's demeanor is light-hearted and engaging. He takes time to get to know you and your unique situation in order to develop the best path to recovery. Beyond providing rehabilitation, his intention is building long-term relationships and being a source of information for his community. In his spare time he studies and practices a variety of mind-body approaches so he can continually learn new ways to help patients holistically manage physical and mental pain. He particularly enjoys his yoga practice, daily meditation, breathing exercises and all forms of physical activity. His approach is innovative and the art of physical therapy is his entryway to helping people heal. As an innovative holistic Doctor of Physical Therapy, Health Stylist and Yoga Teacher, Amanda treats patients with creative movement philosophies, specific manual techniques and breathwork to optimize your goals. This powerful combination of therapeutic tools plus her positive and caring nature inspires access to the vulnerability and tenderness that injuries reveal. Amanda offers a fresh approach to defining what health means to you in order to investigate where true healing lives. She helps you navigate your therapeutic journey to balance the elements of being human. As an athlete and adventurer on a health quest, Amanda is dedicated to promoting wellness and longevity within her community. She also works with professional snowboarders and surfers, and assists the sports medical team at World Surf League events. Email alkriebel@gmail.com to schedule a session. Dr. Lamb’s treatment philosophy starts with creating “sacred space” – a physical and mental place, where each patient feels safe and emotionally supported in order to achieve their wellness goals. Dr. Lamb focuses on the art of emotional healing by using compassion, coupled with her clinical expertise, to guide her patients toward unlocking their full potential. At the heart of each clinical encounter is a personal relationship founded in respect and individualized care. Board certified in both Family Medicine and Psychiatry, Dr. Lamb trained at UC San Diego and is well versed in the most cutting edge, evidence based, psychopharmacology, but as importantly, she pursued further training in psychodynamic psychotherapy with a belief that for many, psychotherapy is an integral part of personal transformation and healing. Dr. Lamb started her training as an undergraduate at Vanderbilt University, obtaining a bachelor’s degree in Neuroscience. She went on to obtain a master’s degree in humanities with a focus on philosophy and social theory from the University of Colorado, further exploring the human condition. However it was in medical school at Georgetown University that the inseparable connection between mind and body became clear to Dr. Lamb and she realized that to fully treat her patients she would need to be adept at understanding not only their physical needs but their emotional, social and spiritual needs as well. She pursued combined residency training in both family medicine and psychiatry in order to care for her patients from a “whole person” perspective. She subsequently completed a fellowship in community and public psychiatry at UC San Diego and the fellowship in psychodynamic psychotherapy at the San Diego Psychoanalytic Society and Institute. She also completed a three year core training in intensive short term dynamic psychotherapy with Patricia Coughlin, PhD. Dr. Lamb is an Associate Clinical Professor at UC San Diego, a published researcher who specializes in an integrative and comprehensive approach to well-being. She has an expertise in psychopharmacology, intensive short term dynamic psychotherapy, preventive healthcare, complementary and integrative medicine, women’s health, maternal mental health, physician wellness, addiction treatment, as well as primary care and mental health integration. Email kristylambmd@boldhealthinc.com to schedule a session. Ignited and inspired by her personal experience with healing and transformation, Libby landed at the Chopra Center in Carlsbad, CA 12 years ago and was certified in Primordial Sound Meditation, Perfect Health-Ayurveda Lifestyle, and the Seven Spiritual Laws of Yoga. Since then she’s traveled throughout the world leading workshops teaching us how to move from where we are to where we want to be. Libby’s experience as a major market radio personality, music and program director to speaker, teacher, and Chopra Center executive provided her insight and ultimately compassion for the challenge we face in today’s world for balance and the escalating need to redefine what success really looks like. The heart of her teachings revolves around mindset and the awareness that how we approach big change is also how we approach everyday life. Catalysts like death, health challenges, any type of transition, and relationships launched Libby into her mission today which is to liberate as many people as possible through consciousness-based practices partnered with real world application. In fact, getting unstuck is her specialty. As a certified Grief Recovery Method Specialist and an iPEC Certified Life Coach, Libby can help you heal your past so you can fully live in the present. Libby’s company, Liberated LIFE Coaching, guides those committed to self-inquiry to live an extraordinary life. Prepare to build inner strength, vitality, and mental clarity as we shift our mindset from, “What’s the worst-case scenario?” to “What’s the best that could happen?”. Kirsten partners with entrepreneurs and creative professionals to design the livelihood and lifestyle that aligns with your true gifts, passions and values. It starts with uncovering the seed of power inside you: the special something that sets you apart. After identifying your natural leadership calling, Kirsten helps you amplify and accelerate your vision with intentional actions over time. Before you know it, an oak tree stands where there was once a seed. Kirsten started as an artist and writer before founding her first marketing business in 2009. Then she became a transformation junkie through the pathways of yoga, mindfulness and coaching. Now she's found a sweet spot in the middle: a creative dreamer with an ear for brand voice, an eye for marketing strategy, and a heart for connecting with people. Ultimately, Kirsten's story is your story: a seeker who uses the challenges of business, relationships and life to grow herself and evolve our world. A Certified Professional Co-Active Coach, Kirsten is also the founder of Sunset Social, a community for creative and entrepreneurial women, and co-founder of Fearless Leadership, a corporate training program for rising female leaders. She is a fierce advocate for clients who have launched businesses, raised funds, given TEDx Talks, quit jobs, changed cities, exhibited art, released films, and fallen in love on her watch. Claim true leadership in your work, creativity and life: visit https://kirsteninc.com/contact/ to schedule a free sample session today. Shawna is a teacher and a counselor. She helps you know yourself with astrology and meditation. With a decade of experience in the peaceful arts, Shawna's vibe is soothing, nurturing and eclectic. Her approach to astrology and meditation is down-to-earth, intuitive and fun. She's been published in the Huffington Post and shares astrology forecasts on her YouTube channel for weekly inspiration. Book a one-on-one session with Shawna for a tailored and uniquely insightful look into your astrology. Your initial two hour session is a mind/body/spirit Ayurvedic makeover. Come with your life questions and current concerns. This in-depth session will give you insights into your personal makeup, the gifts you have to work with, and the tools you need to navigate your current goals and challenges at work, in relationships and in matters of the spirit. You will be given practical counseling, and specific yantras and mantras to work with to support you on your quest. See sarahyantra.com for more info. Surfhouse is a surf inspired boutique hotel located in the heart of Leucadia, just outside Encinitas. The hotel is detailed with beach-inspired decor, eight thoughtfully designed beach-chic rooms named after local breaks, an outdoor cabana, a beautiful outdoor shower and more. Surfhouse is located one block away from the most gorgeous and decorated beaches, bars and restaurants on the classic highway 101, where guests are instantly immersed in the local culture and lifestyle. Surfhouse offers unparalleled hospitality from their staff of born-and-raised locals, access to yoga, SUPing and endless local recommendations.